Prepare for trouble and make it double because metal lords DevilDriver are returning down under for a girthy tour this year and they’ll be bringing fellow headbangers All That Remains along for the ride. Heading to our shores this August, the hard-riffing tag team will be performing a fist full of 18+ dates in Sydney, Canberra, Brisbane, Melbourne, Adelaide and Perth. It marks DevilDriver’s first Aussie headline shows in five long years and they’ll be coming armed with their latest LP of country metal covers, Outlaws ‘Til The End: Vol. 1, and their back catalogue of face melting anthems. While All That Remains are still triggering circle pits off the back of 2018’s Victim Of The New Disease, their last album to feature founding guitarist Oli Herbert, who tragically passed away less than a month before it’s release. 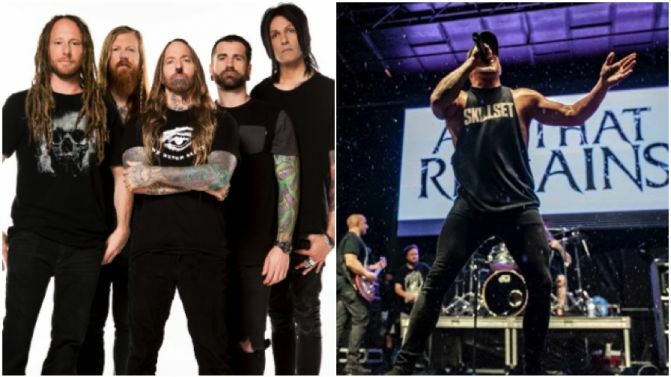 Catch all the details of DevilDriver’s 2019 Aussie tour with All That Remains below.